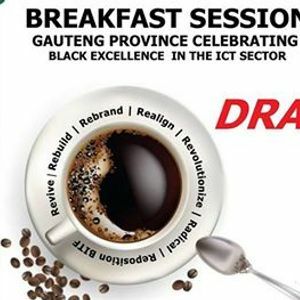 We are hosting an Breakfast Session titled "Gauteng Province celebrating Black Excellence" in memory of the late Mr Tumelo More. 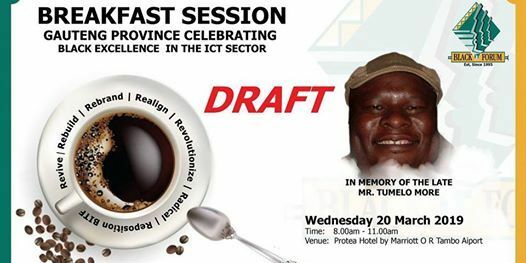 This is to highlight our achievement and to give credit to those that have contributed to transformation of the ICT Sector and whether alive or late.To encourage principled black people remain commitment to the cause. Is an indication that Gauteng and the country has exceptional capacity, dedicated, serving and capable people who are advancing the country in to developmental State.